As guitarist in the Australian punk legends, The Saints, Ed Kuepper played the withdrawn, thoughtful foil to the rumbling brick shithouse that was Chris Bailey. 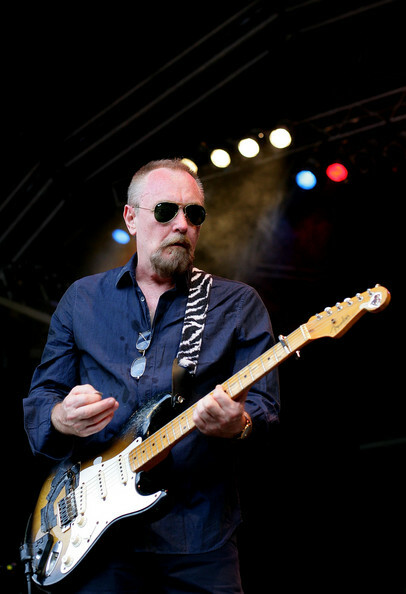 But however uncharacteristic a thing ‘thoughtful’ may be in punk guitarists circles, as co-songwriter, Kuepper is credited as one of the two men who gave birth to punk in Australia in 1976, with a little sulk about being Stranded (so far from home). 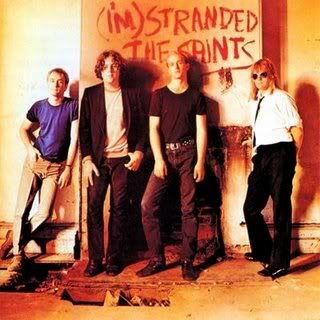 Despite the blazing debut of I’m Stranded, unlike Bailey, Kuepper had viewed punk as a mere minor bump in the road along which he was traveling, continually searching for something that moved him. Then in 1980, the German-born Queenslander, committed musical sacrilege - combining jazz with punk – in Laughing Clowns, but this hybrid-flaunting band demonstrated Kuepper’s formidable arranging and songwriting prowess, as well as gaining him widespread respect in his birthplace of Bremen. 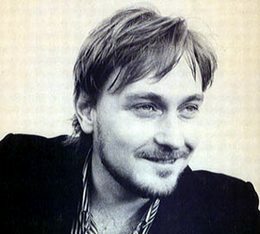 It was Ed’s move to making solo records in 1985, beginning with Electrical Storm, that drives our conversation today as Kuepper takes stock of this, and 1986 album Rooms Of The Magnificent, through a series of acoustic performances, and planned re-rearrangements of the albums his punk and jazz roots never saw coming. The two albums, although not strictly his most prolific work, have gained an almost indescribable significance for Kuepper over time, he begins. “It feels like an odd thing for me to be doing right now, but the material seemed to be calling out for my attention. I recently began to see links between the songs on those albums, as well as on Today Wonder (1990), and I want to get to the core of what those connections are, and why I they were suddenly making themselves known to me. All I really know is I couldn’t ignore them any longer… It’s like psychoanalysis I suppose.” A debut solo album, I propose, can be a frightening concept for a man who walked away from such a ‘sure thing’ as The Saints, and the massive overseas fan-base Laughing Clowns earned. Was the common thread one of self-doubt? “I would say I was rather more relieved.” He laughs. 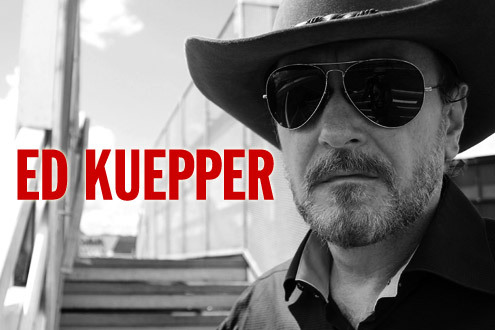 “Both of those bands ended quite poorly in terms of our friendships, and so I had no trepidation about recording on my own, however those first two records were very rushed affairs, which is why they were so raw and now demanding my urgent attention.” Kuepper, motivated by re-visiting his early solo work, is putting together an entirely new album to be released as a follow up, “I’m wondering if the new record will be informed by what I discover in re-working those older songs.” But his search seems to be based on an ideal, rather than any real dissatisfaction with how those records sounded. “I had forgotten quite a lot of those songs until recently when Mark Dawson (Ed’s drummer, 1985-’95 who is involved in the re-workings project) and I began this process, and hearing them again they seemed so mysterious to me. I’m not expecting any great revelations to occur, but it does feel as though a story was being written and somewhere along the way I lost the thread of that, which is what I’m exploring now in order to move it forward.” Since 1985, Ed has written and arranged 20 solo records, often direct and emotionally raw in tone, so untangling the story of his subconscious is certain keep the artist busy for some time yet. One brief but certainly memorable chapter in Kuepper’s story outside of his personal songwriting, was of course the tense musical partnership he shared with Chris Bailey in The Saints. Ed has on occasion reunited with The Saints for tours, but he understands the only rewarding part of his and Bailey’s union was during the band’s formation.